DeVon Nolen is a big-picture person. When thinking about healthy food affordability, she knows it’s not just about making the price of tomatoes cheaper. It’s also about education—educating those in poverty on purchasing and preparing healthy foods, educating policymakers on the importance of food affordability, and educating the community at large on why this all matters. According to DeVon, a large part of that education is challenging the narratives that surround healthy food access—mainly the fictitious assumption that poor people don’t want to eat healthy food. 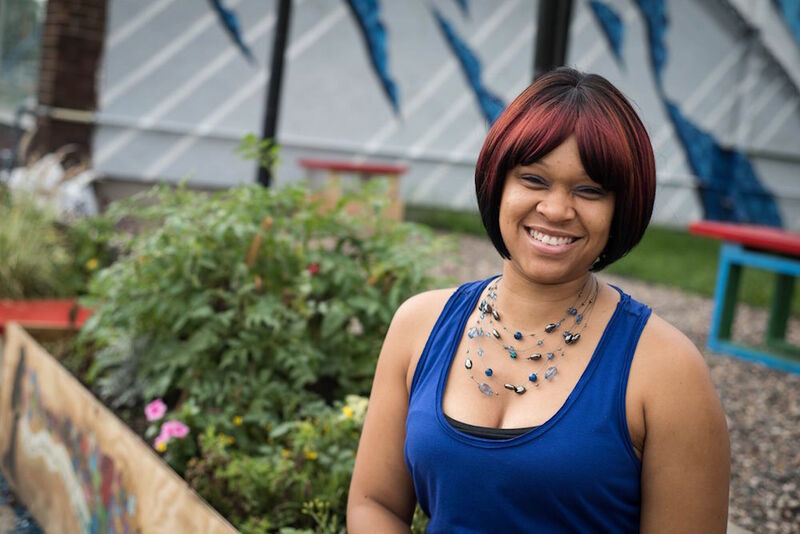 As the market and outreach manager for the West Broadway Farmers Market and former co-coordinator for the Northside Fresh Coalition, DeVon has implemented a number of programs that have helped those in her community live healthier lives. There’s the farmers market itself, which offers fresh, locally-grown fruits and vegetables at affordable prices (which can be purchased with EBT and Market Bucks) in a location that’s easily accessible through public transit and other means. There’s also monthly pay-what-you-can meals provided that source 80 percent of the ingredients from the market. But possibly the most innovative and successful program to come out of the farmers market is the Fruit and Vegetable Rx Incentive Program (FVRx), a provider-based incentive model where doctors write prescriptions to patients for fruits and vegetables at the market (including a nutrition class on how to prepare the vegetables). In the third year of the FVRx program, they are already seeing behavior changes. To move further towards DeVon’s definition of food affordability—that the healthier choice is the easier choice—more support from policymakers and corporate funders is needed. To do this, DeVon focuses on making personal connections with decision makers based on the one common denominator everyone shares—the desire and need for healthy food.